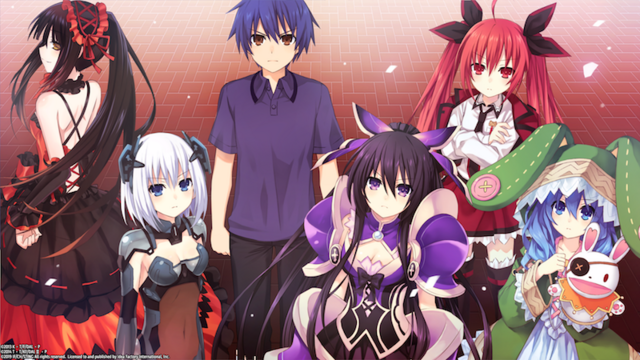 Continuing with Idea Factory International’s recent announcements, the publisher plans to bring a trio of Date A Live visual novels to PS4 and PC in the west. Due out in summer of 2019, the Data A Live: Rio Reincarnation collection includes Date A Live: Rinne Utopia, Date A Live: Arusu Install, and Date A Live Twin Edition: Rio Reincarnation. Rio Reincarnation will be released in North America and Europe physically and digitally. According to IFI’s announcement, there have been some slight changes to the PS4 version—including two modified CG scenes—but the Steam version remains unchanged and the gameplay for both has not been altered.